A special way to go up to the clock tower on top of a rock in the centre of Graz is taking this elevator. The lift connects a tunnel inside the rock with the plateau next to the clock tower. 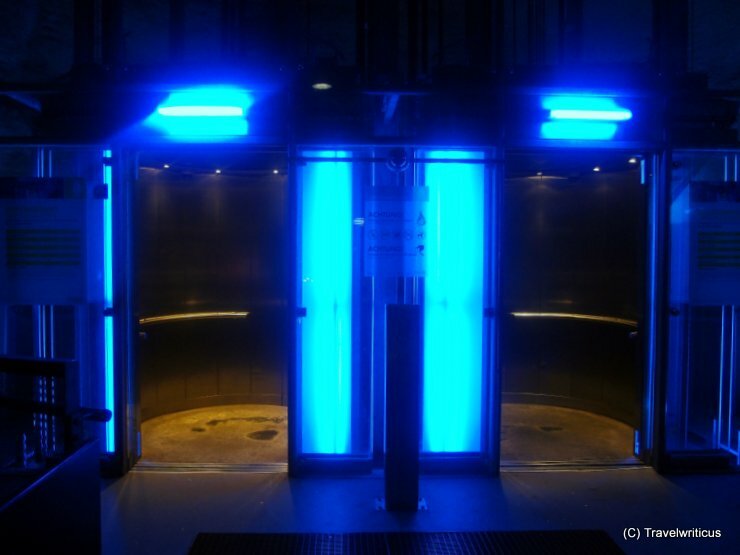 While going up in this glazed cab one have an exciting view of the elevator shaft taught in a strange blue light.